This afternoon Glasgow side Celtic FC launched their first official Twitter presence in the cyberspace. The 1967 European Champions announced that they would be launching 4 accounts in order to accommodate with different audiences and needs – @CelticFC, @CelticFCTickets, @CFCCommercial and@CelticFCShop. Celtic fans are well known for being incredibly vocal and active both offline and online – so the move into Twitter is one hugely anticipated by Hoops fans. 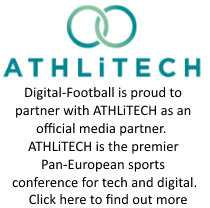 Digital-Football.com managed to speak with Tony Hamilton (who has given an interview about the clubs Digital Strategy on this site previously) around why the club has decided to adopt Twitter. Celtic are not strangers to Social Media, having launched their Facebook Page early last year and Tony (Digital Director) has been using his own personal account to act as an “unofficial club presence” on a regular basis. He also added that Twitter was specifically chosen because “the demographics are not the same” in comparison to Facebook. Most interestingly, the club’s reasoning behind launching their Twitter channel is “to complement but not replace the great online Celtic community, which already exists through many conventional forums and sites like KDS, CelticWiki, CQN, CelticMinded, Huddleboard, ETims and many, many more emerging on Twitter”. Celtic fan forums and communities are notoriously active online, so it’s refreshing to see a football club recognise both the importance and influence of fan-lead sites. In conjunction with the launch, the Glasgow team have also provided a dedicated Twitter page on their official site that outlines how fans can use their Twitter account as well as begin to answer questions such as “when will the stream be active?” and “what are the different feeds for?” Additionally, the club has provided a full list of all 28 staff and players who use Twitter – which is useful for weeding out fake accounts. Encouraging from Celtic, although why fans would want to follow the club’s commercial Twitter account beats the living daylights out of me. And apologies to come across all pedantic – it’s “complement” not “compliment” for the headline.